It was summer 2017, when after a long time I met my friend from university days. Following the usual “what is going on” conversation, she started to talk about her trip to Toronto supported by Macedonia 2025 and the great experience she had there. From the beginning, it sounded like a very good idea, but the real “buy in” was the passion and excitement, while she was describing her experience at Schulich School of Business and the job shadowing at a local Canadian company. The trip was organized in two weeks, where the first week consisted of attending a course at Schulich School of Business at York University and the second week was the job shadowing at a local Canadian company, organized and supported by Macedonia2025. There were several courses available for each candidate. Based on my career level and educational background, I have decided to attend the course – Leadership Competences: What Senior Managers Need to Know. 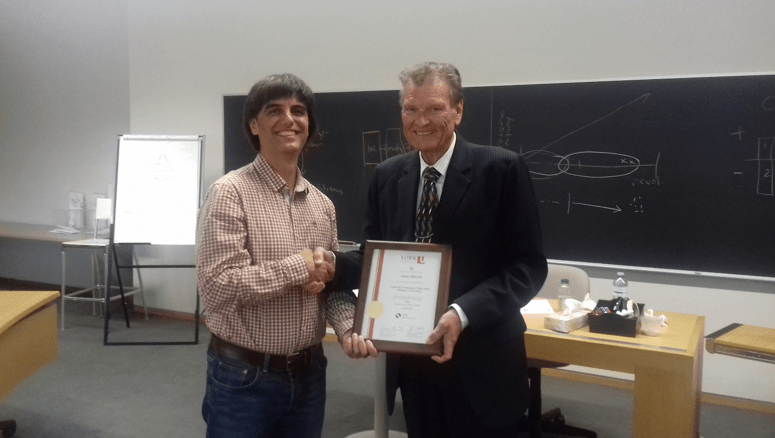 It was a very well-shaped course intended for experienced managers and executives. It improved my competencies in several areas, such as business governance, strategic planning and problem solving, innovation and change management, global business perspectives, financial planning, coaching skills, employee productivity and engagement. It did not only provide informative material, but it also included practical concepts that can be applied in everyday business. However, what impressed me the most were the lecturers and professors. All of them were excellent teachers and very experienced professionals with practical experience behind them. The lectures were very interactive, resulting in fruitful and interesting discussions among participants, which added additional value to the overall positive experience. Of course, this is in line with the fact that the Schulich School of Business is ranked #1 in Canada and certainly is one of the most eminent business schools worldwide. Maybe the greatest experience from the whole trip was the job-shadowing week. I really want to congratulate Macedonia2025 and especially Jim Nikopoulos – President of ECN Capital and member of Macedonia2025 Board of Directors, for their vision and commitment to help professionals from Macedonia to extend their business education and experience. I have spent five days at ECN Capital’s IT and marketing departments and had time to learn and see how one big financial North-American corporation function. It was definitely something unrelated to what we are used to, starting with the scale and ending with the practice. What I saw and learned will definitely help me embrace future professional challenges with greater confidence. 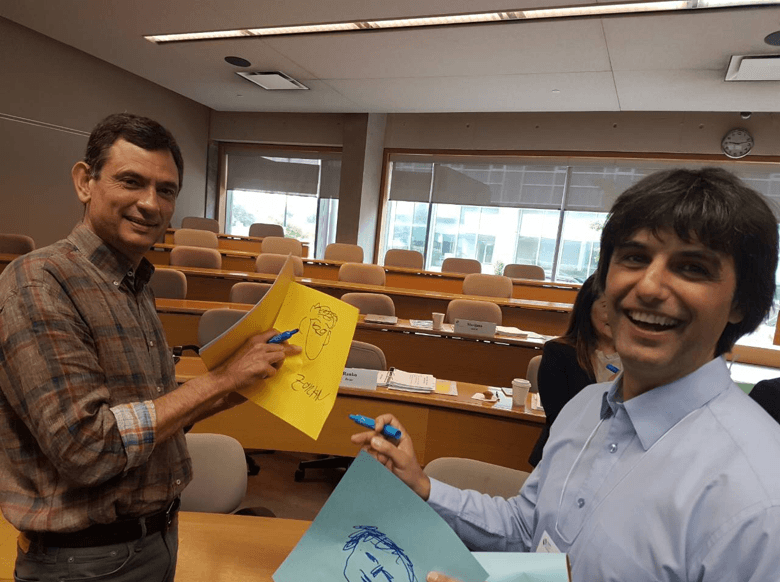 The two weeks spent at the Schulich School of Business and the job practice provided me with tools and insights that will assist me in taking my professional career to a higher level. During these two weeks, I was also able to meet many people. Many of them were my compatriots who decided to continue their lives in Toronto and some of them were professionals and colleagues that I have met at the school and at ECN Capital. They are all great people with whom we mutually shared excellent time, knowledge and ideas. I really hope and believe that our communication will continue in the upcoming years. At the end I can only conclude that for me this was a rare lifetime experience that really helped me grow as a professional, but mostly as a person. I would like to thank Macedonia2025 for the provided opportunity. Once again, Macedonia2025 proved that it is fully committed to the cause of helping and giving back to community for a better and more prosperous Macedonia.